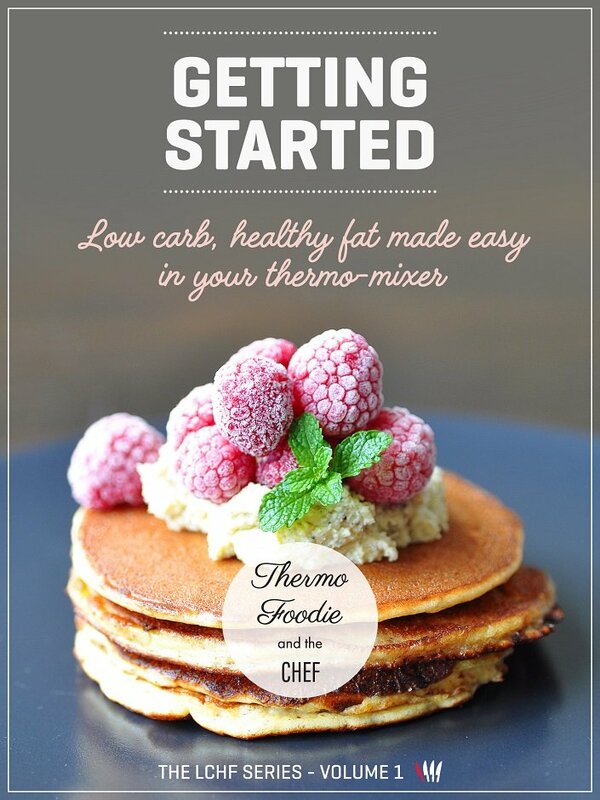 The Foodie & The Chef’s first cookbook in the LCHF Series; Getting Started – low carb healthy fat made easy in your thermo mixer is exactly what you need to start your LCHF way of eating! 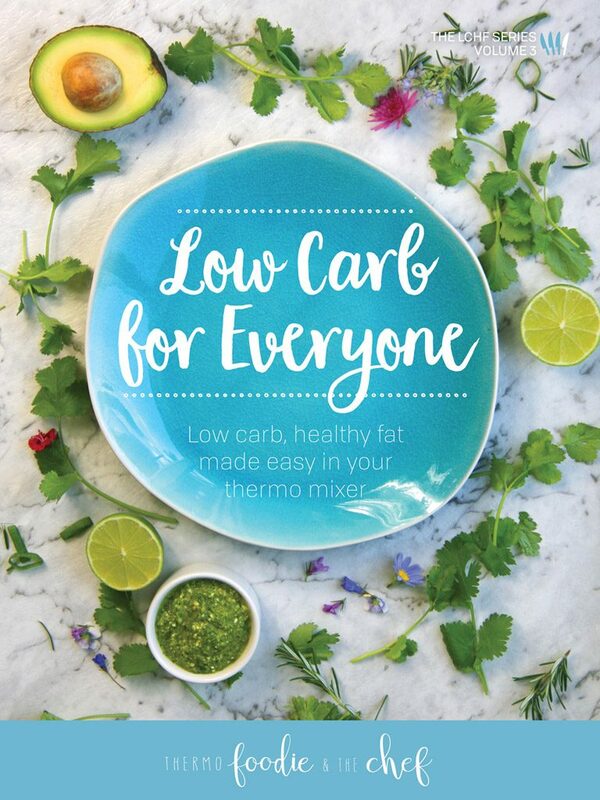 The cookbook contains over 40 delicious, easy and versatile low carb healthy fat recipes. 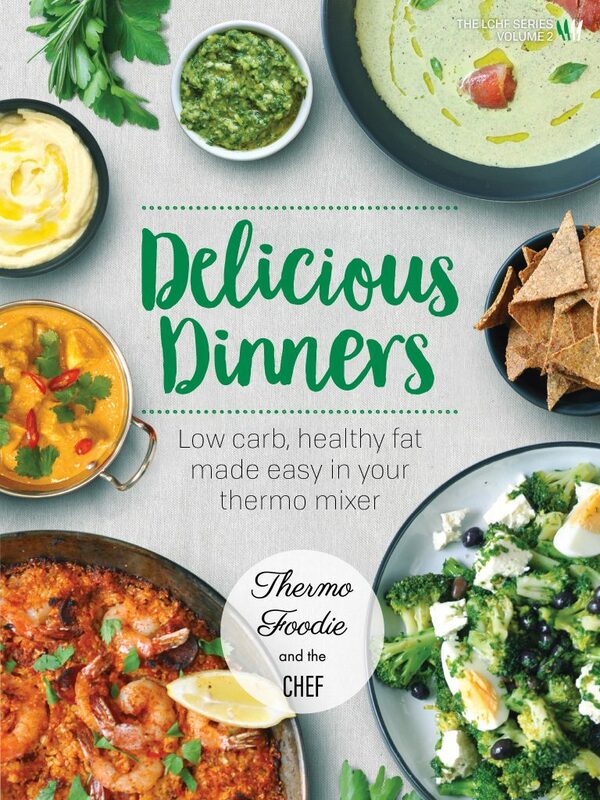 The Foodie & The Chef’s second cookbook in the LCHF Series; Delicious Dinners – low carb healthy fat made easy in your thermo mixer is finally here and exactly what you need to make healthy & delicious meals your whole family will love! 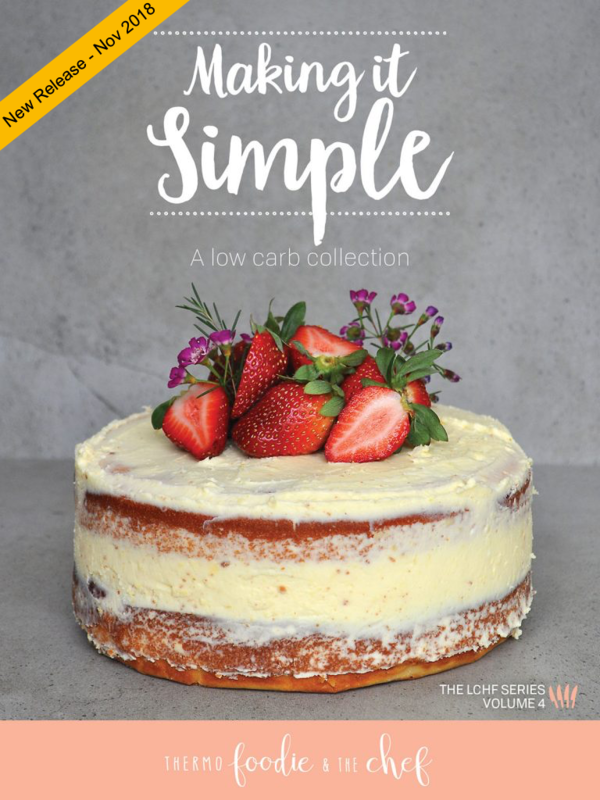 The cookbook contains 26 delicious, easy and versatile low carb healthy fat recipes. From snacks to main meals to desserts with a variety of options, all our recipes have been thoroughly tested and are complimented with full colour professional photographs. Each recipe also includes a full nutritional panel displaying calories, carbohydrates and fat so you can balance your meals with ease. The recipes in our cookbooks are all LCHF, compliant with Real Meal Revolution’s philosophy. They are low carb, high in healthy fat, additive free, gluten free, grain free, soy free, refined sugar free and some are nut and dairy free, but most of all – they are filling and delicious! All Volumes are available as physical print books, and as e-books, at our online store here. We hope you will love these cookbook as much as we do!